Thank you for visiting Channel Marker Cafe. We hope our website will help to answer any of your questions, but we're always happy to talk! Please call anytime at 732-793-7559. 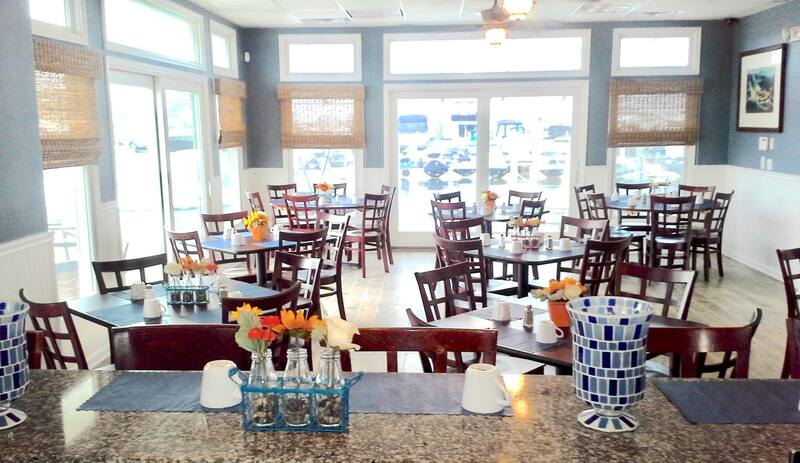 Channel Marker Cafe is located in Ocean Beach Marina at channel marker 27 on the Intracoastal Waterway. 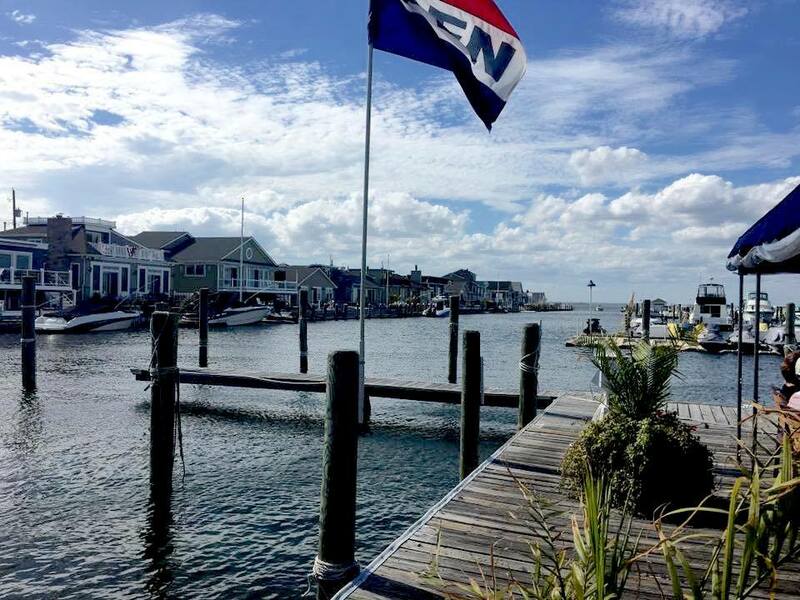 We have slips to accommodate everything from jet skis to 50' cruisers. 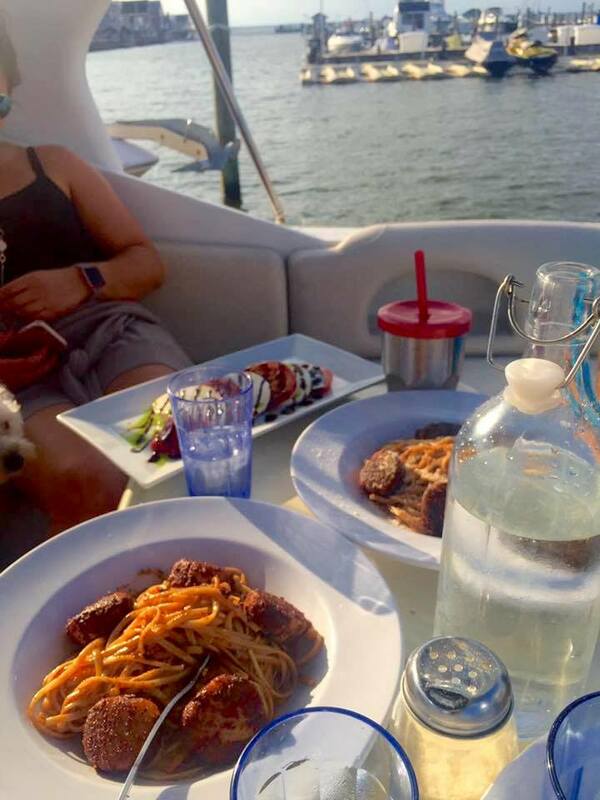 Dine inside, or enjoy food and drink on our deck  or we'll bring it out to yours! Channel Marker Cafe does not sell alcohol. 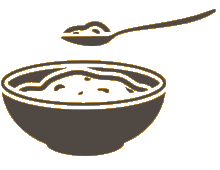 Customers are welcome to enjoy their own beer or wine with their meals. Food purchase is required. Beer or wine only. No liquor. 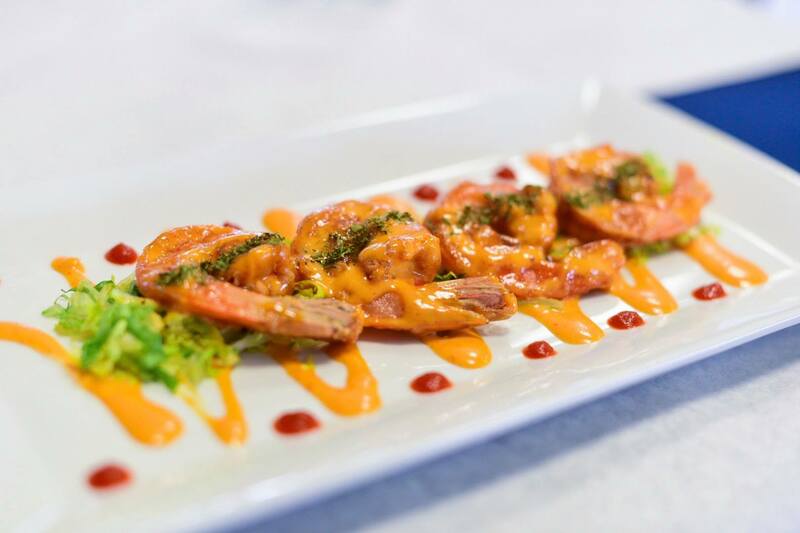 We reserve the right to refuse service at our discretion. Please drink responsibly. 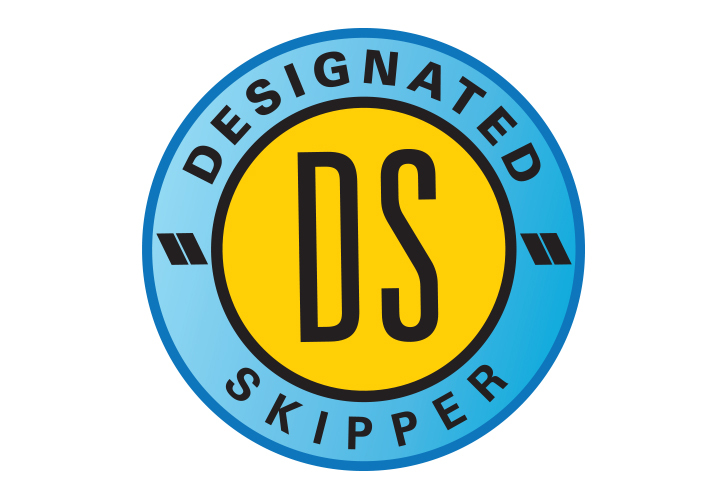 We are proud supporters of the Sea Tow Foundation's Designated Skipper program. Join us at sunset to cap off the day  or to start off your night! Today's sunset is at . Came in off of the boat and this place was just absolutely awesome. Extremely friendly employees and manager with absolutely the best food in that area. We had an order of conch fritters and a bowl of clam chowder that were second to none. 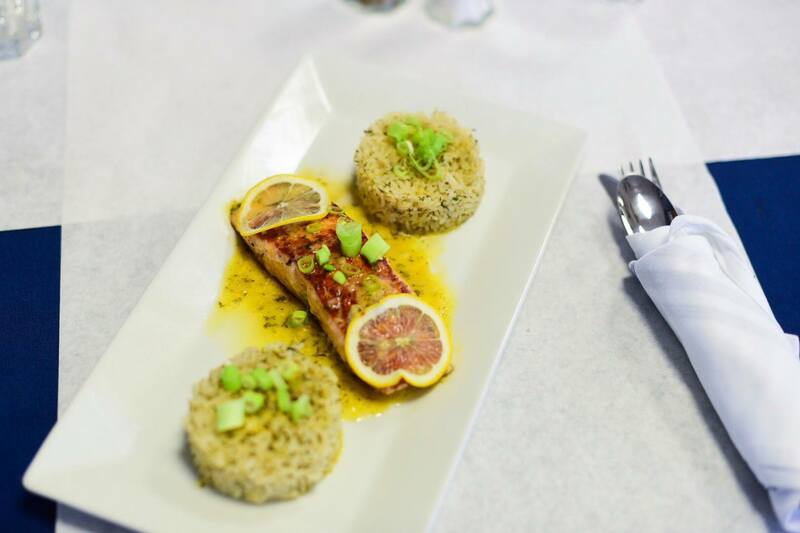 Our plan is to go back here for dinner because the menu looks astonishing. 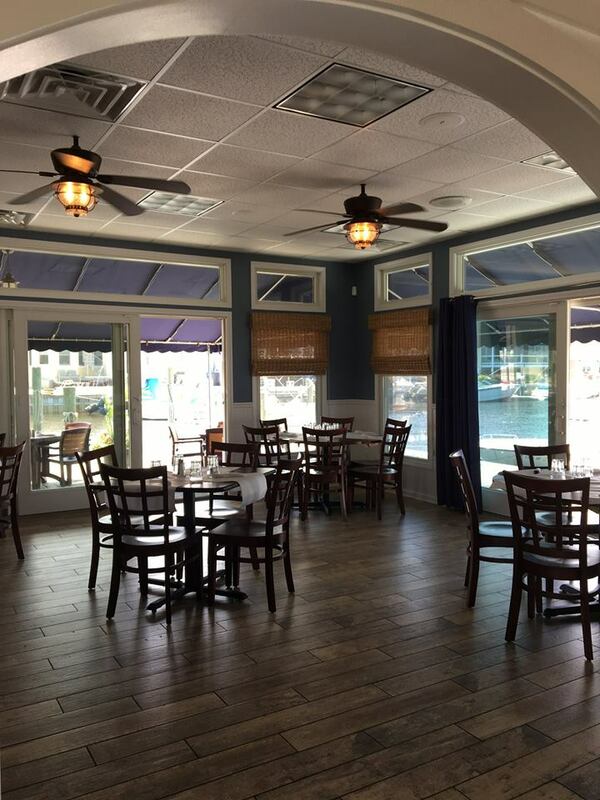 A beautiful outside deck with seating and an air-conditioned gorgeous interior. Response to our recent relaunch has been overwhelmingly positive. THANK YOU! WE ARE NOW ACCEPTING RESERVATIONS. If you plan to visit with a party of four or more, we recommend calling ahead to ensure seating. We always do our best to accommodate each party, and your advance notice guarantees our best result. 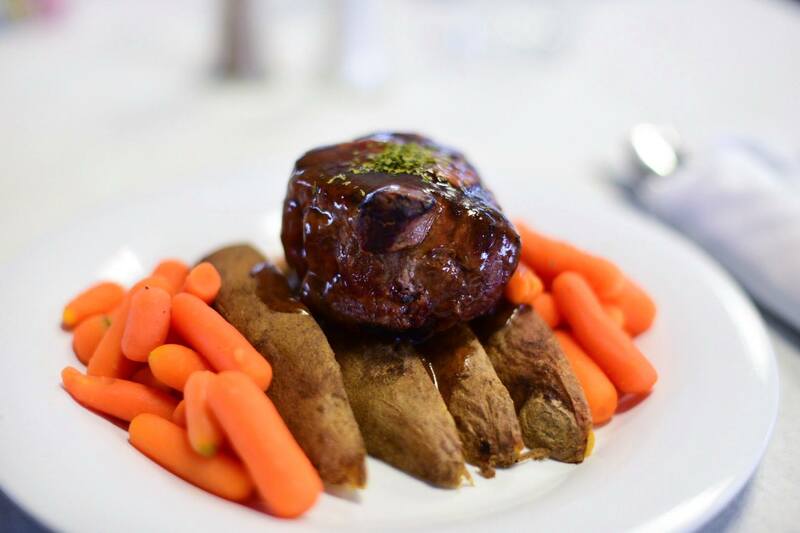 Download our brunch and dinner menus as a PDF, or use the links below to view our menus. 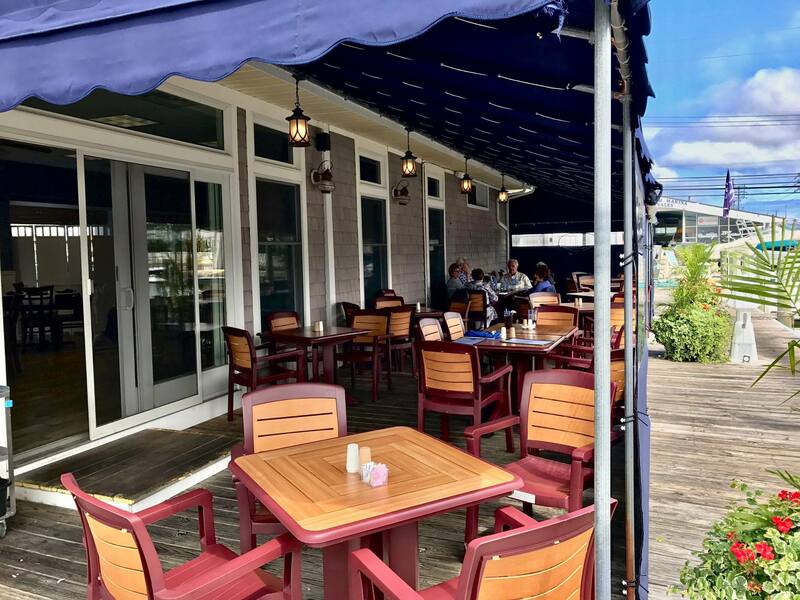 Whether you're dining on our deck or dock-side on yours; whether you're looking to host your next event or just cruising for pork roll on a Sunday morning, Channel Marker Cafe should be your destination. 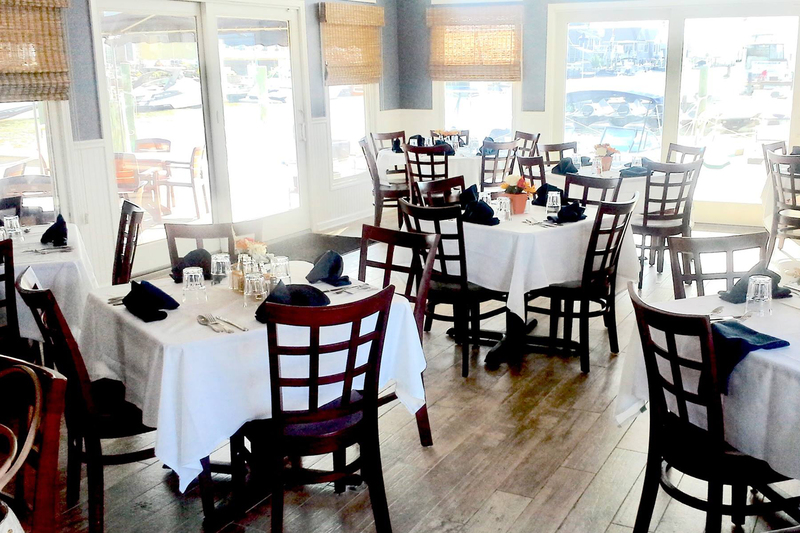 We have facilities to accommodate parties up to 80. Questions? Call us at (732) 793-7559. Best service in town. I always stop in when I'm down the shore. 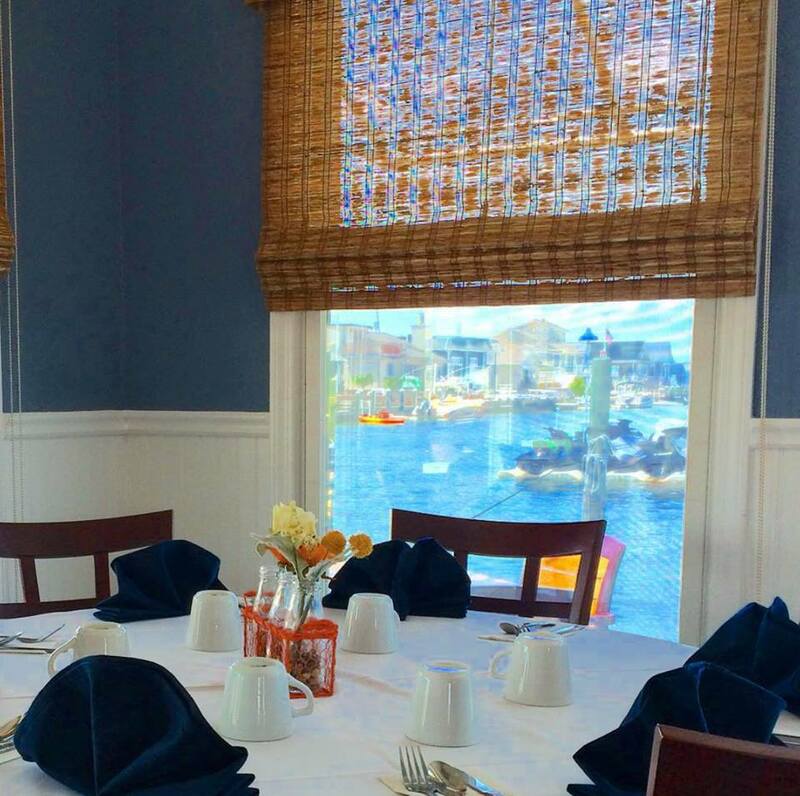 We love the view of the channel. 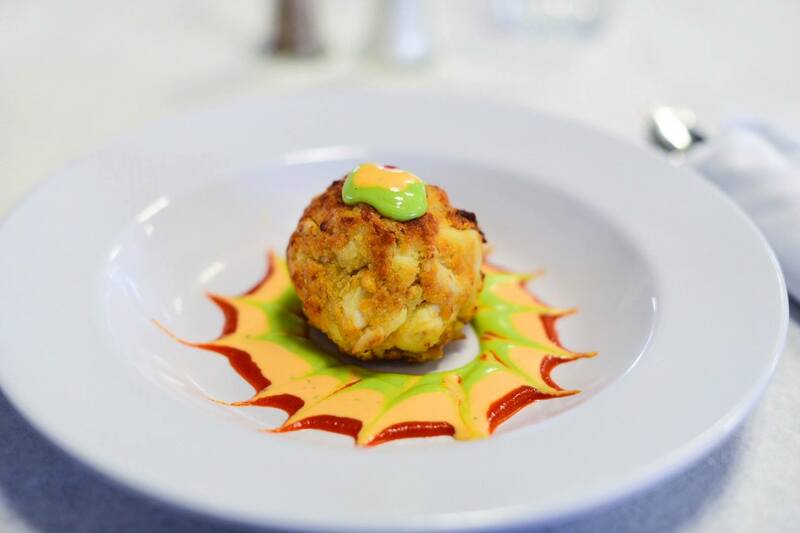 Love the convenient location, friendly service and good food. 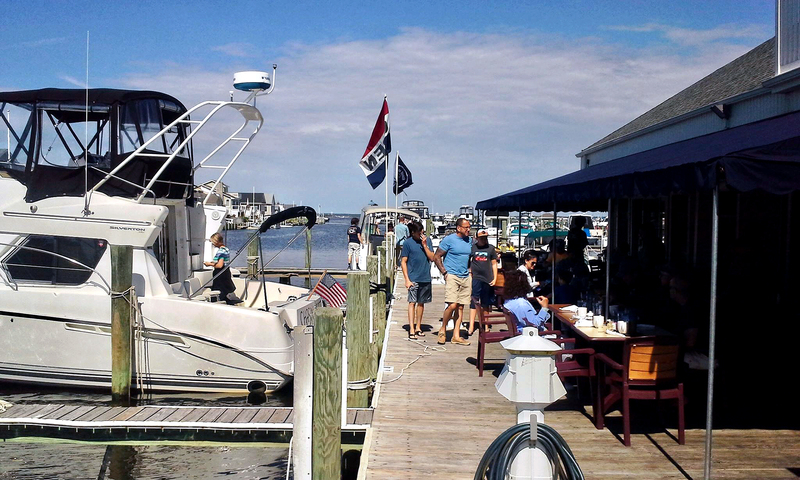 Ride up on your boat and BYOB... Easy, casual, family restaurant. We love this place! 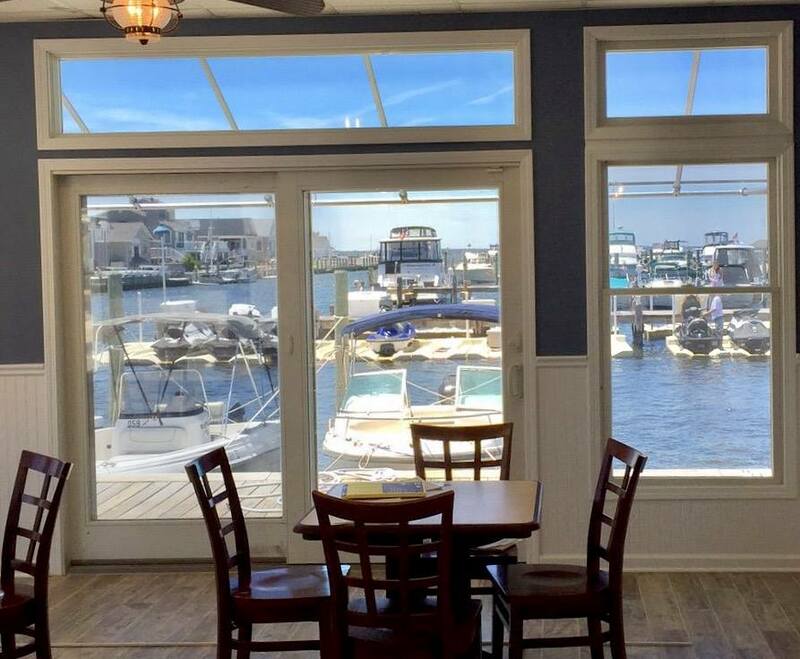 You can sit outside at the marina or inside at one of their two dining rooms. We love the new menu and new chef this year, too. We really love this little place. 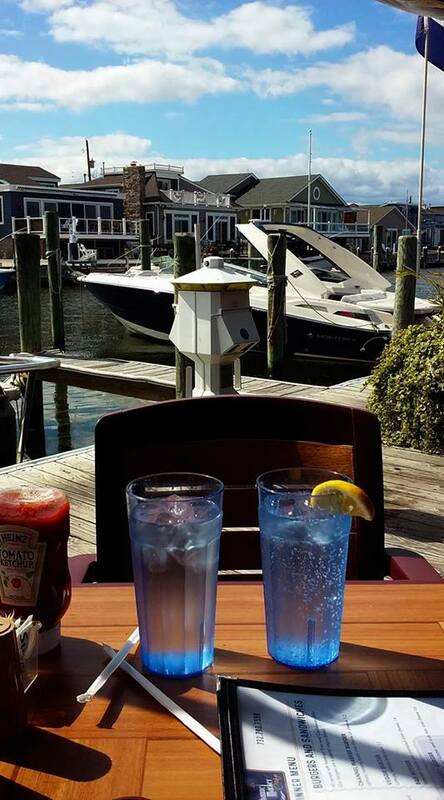 It's quaint and I like the waitstaff -- and I love the fact that we can walk, or ride our bikes, or take the boat there! I love sitting outside with the water 10 feet away while enjoying coffee with family and friends. 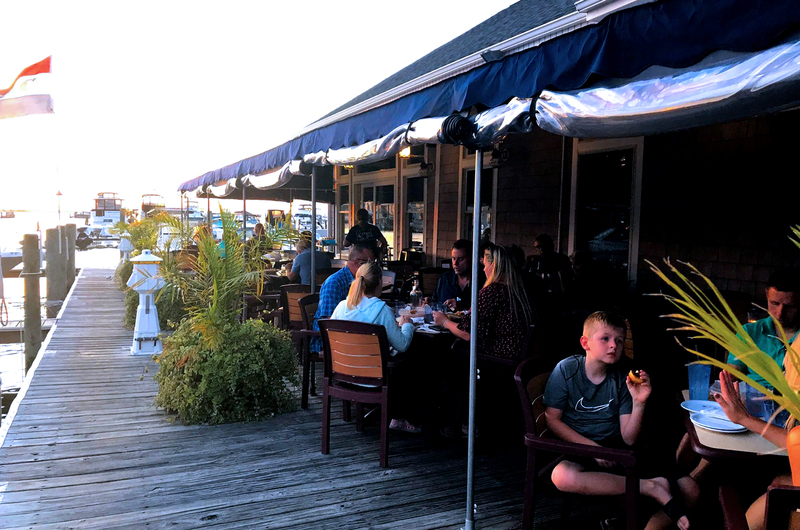 Every SUNDAY during the summer, enjoy live music with Joey B as the sun dips into Barnegat Bay. 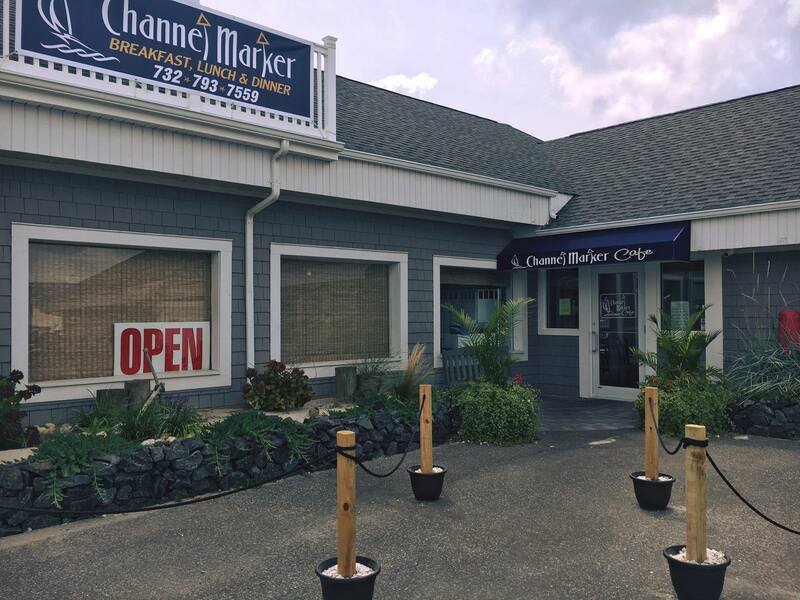 Channel Marker Cafe is a perfect location for wedding showers, receptions, family gatherings, birthdays, reunions, etc. Let's schedule a time to walk through the property and discuss your event with our onsite coordinators. 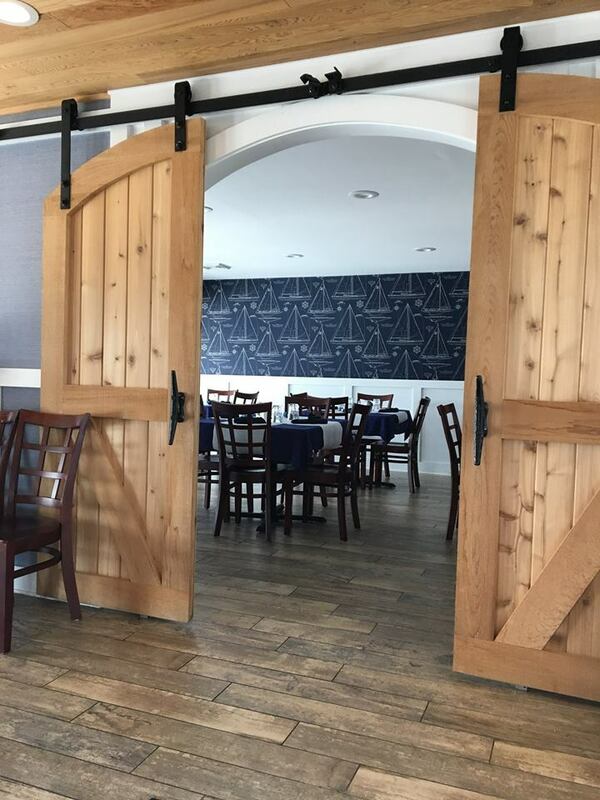 New Jersey permits customers of an unlicensed restaurant to bring and consume wine and/or beer with their meals. Food purchase is required. Beer or wine only. No liquor. Please drink responsibly. 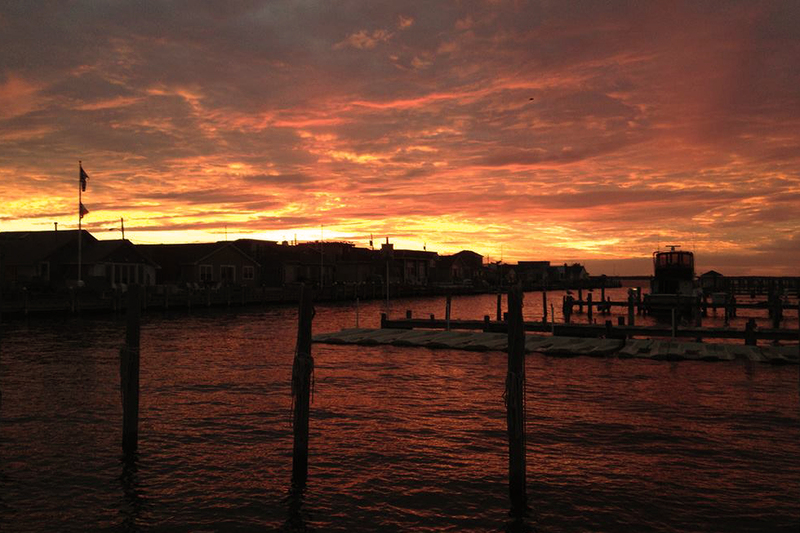 Apologies to The Kinks, but we think that Joey B's rendition of "Lavallette Sunset" is as close to paradise as we can get. 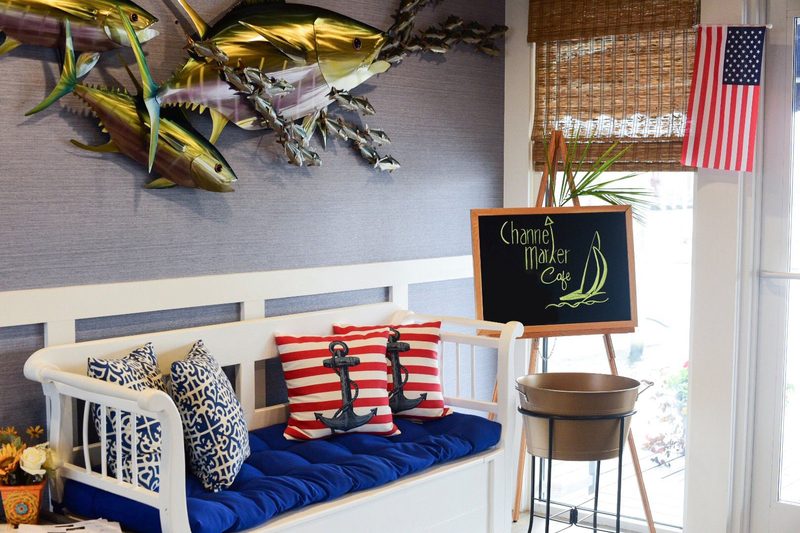 You'll find food, friends and fun at Channel Marker Cafe. Join us! © 2018 Channel Marker Cafe. All rights reserved. Sunset times API courtesy of Sunrise-Sunset.org.